What Can these Personal Leadership Power-Booster Packages Do for You? To answer your questions, I will tell you this short but interesting story about a stubborn yet kindly young man. In the opinions of his public school teachers, he appeared to be missing the aptitude and ability to be an accomplished student. His instructors recommended he pursue any career which did not demand high levels of intelligence or thinking. However, the young man pursued a position with and became an operator in a telegraph company - which required him to memorize the Morse Code and master the technology of telegraphy [the high-tech industry of his day]. During his tenure in the telegraph industry, he found ways to improve the efficiency and effectiveness of the machines and networking devices - this was an incredible feat since it required a knowledge of electrical systems and electro-mechanical devices. Tom may not have possessed the educational credentials and to most observers he certainly did not seem to have the capacity to engineer, invent or discover new technologies but he did have three extremely important talents - they were persistence, a positive mental attitude and clearly defined goals. Why Are We Discussing the Life of Thomas A. Edison? Because Edison and many other industrialists like him mastered the art, skills and science of "Personal Leadership" - the attitudes, behaviors, actions and objectives of self-determination. Napoleon Hill, Dale Carnegie, Benjamin Franklin and thought leaders throughout the ages have discussed, described, defined and delineated the traits, attributes and aspirations of personal leaders. What Do Personal Leaders Do? 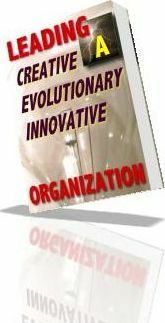 We prefer to identify personal leaders as being the foremost social, human, production and developmental capitalists - they are persons who invest in their growth and self-improvement in many areas of life and who seek to make contributions of positive significance to our world. Sometimes, we need a little inspiration, motivation and let's admit it, some education on How-to-do-it can help us too! Each Personal Leadership Package is designed to nurture, encourage and edify that spirit inside of you that says "I Can Do It! ", while showing you the exact steps, strategies and techniques you need to overcome obstacles, make informed decisions and achieve your desires. While no program can "teach" you the actual attitudes, tendencies or attributes of successful people, you will learn precisely how those people attained their success. In many of these stories, you'll hear what those people did, why they believed what they believed, who they spoke and worked with and how much effort they made to establish their legacies. Yes, you will be inspired to act, you will be moved to take your own unique stand, you will learn how to do it too! In two of the Packages, we will be your mentor, guide and co-pilot. The Personal Leadership Power Pak contains four acclaimed books, plus the Science of Getting Rich and Think and Grow Rich. The Personal Leaders Toolkit includes all the contents of our Power Pak as well as 4 additional Leadership and Planning manuals for expanding your success. The Premier Leaders Club features all the contents of the Personal Toolkit plus a "live" Webinar class with Bill Thomas, plus our Creative Evolutionary Leadership Manuals and Meeting Planner Tool for superior results, enduring success and continual growth! Personal leadership is not a destination, it is a journey towards your ideals - we'll hand you all the materials you'll need to define aand focus on the areas of your life you most want to improve or enhance. Using your prep materials, you'll have your inspiration for travelling towards your goals. 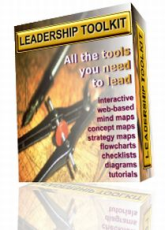 You should think of your Personal Leadership Packages as your navigational maps. Discover... The incredible story of one man's struggle to succeed and what it takes to turn personal dreams into reality. 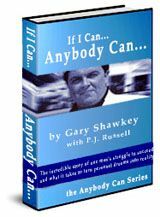 The story of acclaimed motivational speaker, Internet marketing guru and 3-time Guinness Book World Record Holder, Gary Shawkey. His life story, as told in his own words with P.J. Russell, is a heart-wrenching, in-depth look at his trials and tribulations and how he ultimately achieved success by overcoming them. 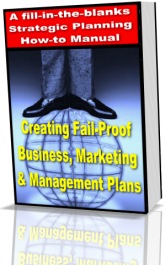 Amazingly Simple Concepts Can Catapult You From Failure and Put You On The Road Toward Success! Discover Which of The 9 Hidden Success Barriers You Must Overcome To Succeed In Life! Success . . . It means different things to different people. Most people want to be successful in life. The question is, what is success? 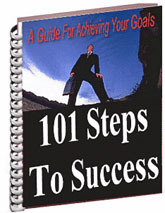 101 Steps To Success, we have put together 101 steps that you can use to reach your own personal idea of success. 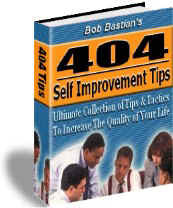 These are ways to better yourself as a person, proven methods you can apply to reach success. Dating and marriage is different today than it was twenty years ago. In today's society, more than 50% of all marriages fail for one reason or another. Just thinking about that makes "commitment" seem scary. It seems that when relationships are faced with challenges, people quit trying. Dating is more like a marathon, trying to date as many people as possible, instead of taking time to get to know someone at a deeper level. For married couples, divorce is not biased. Whether married for thirty years or eight months, the outcome can be the same. 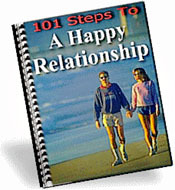 101 Steps To A Happy Relationship gives you 101 ways to build, strengthen, and enhance your relationship. "The Essential Laws of Success!" Save Over $90 - Get This Entire Package for $19.95! Personal Power & Sweet Success, Today! PLUS THESE PERSONAL POWER TOOLS...! How many times have you said " Boy, if I only had the time, I would like to do that?". And it doesn't have to be about making more money or marketing on the Internet. 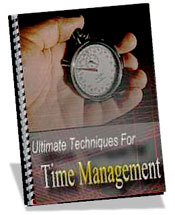 The underlying principle taught in Ultimate Techniques For Time Management is that time management is not about doing your job well. It is about living your life well. Accomplish the goals that you have always wanted to , but thought you didn't have the time for, without sacrificing time for anything else you are currently doing . . .
More than any other time in history, people are all vying to have the best, healthiest body possible. The health and fitness industries are making billions of dollars every year on herbal supplements, fitness equipment, gyms, and special diets. If you watch TV or read magazines, there are always some intriguing ads and commercials asking for money for products to help you get into shape. While many of these options are good and healthy, others you should stay as far away from as possible. In 101 Steps To Better Health, you will find tips for both health and fitness that will help you lose weight, discover ways to maintain a better healthier lifestyle, and be in the best shape of your life - all the smart way! "Dreams are rudiments of the great state to come. We dream what is about to happen." BAILEY. The Bible, as well as other historical books show traces of a general and substantial belief in dreams. Plato, Goethe, Shakespeare and Napoleon attributed to certain dreams prophetic value. 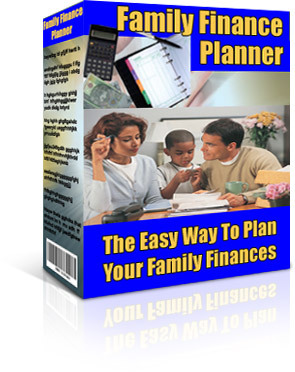 "How You Can Easily Keep On Top Of Your Finances, Keep Your Bank Manager Off Your Back And Work Out How To Finally Afford That Car Or Holiday That You've Always Wanted!" Save Over $175 - Get This Toolkit for just $39.95! Achieving Your Personal Best, Right Away! In today's world it's essential to have self-confidence. Living in fear only holds you back from realizing your dreams. 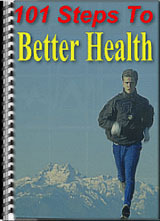 This ebook is full of valuable information and exercises designed to help you live more fully. 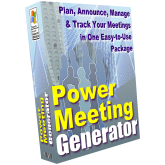 You'll Lead & Manage Better Meetings! Energize & Enrich Your Growth! Achievement for Leadership Excellence and Personal Prosperity!